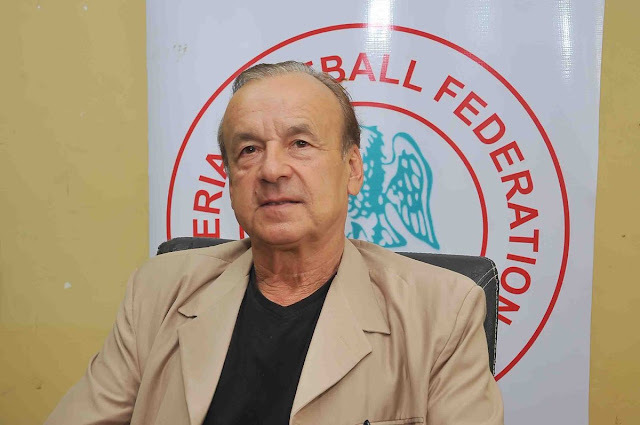 Super Eagles’ Technical Adviser, Gernot Rohr has commended the idea and efforts behind the Nigeria Pitch Awards, which fourth edition is slated for Uyo, Akwa Ibom State on Saturday, 10th June 2017. The Franco-German, who has won all three competitive matches with the three –time African champions since taking over the squad in July 2016, said professionals in all fields make effort to surpass their level best when they know there is something to look forward to. “As professionals, footballers also are motivated by awards, which is a form of appreciation of their efforts on the field of play. They put in greater effort knowing there is reward, appreciation coming from somewhere. With award categories including goalkeeper of the year, defender of the year, midfielder of the year, striker of the year and king of the pitch and queen of the pitch, as well as honours for referee of the year, administrator of the year, sponsor of the year, football –friendly governor and player-manager of the year, the Nigeria Pitch Awards is a refreshingly different proposition from other regular Awards ceremonies. Meanwhile, SIAO Partners, the Awards vote collating and verifying body has confirmed that nominations in the various award categories will be released on Thursday, 11th May 2017. Ituah Ighodalo, Managing Partner of the auditing firm explained that after initial collation, a panel of auditors would meet to verify the results. Speaking further, Ighodalo expressed the appreciation of the organizers, the Nigeria Football Federation and the voters for the confidence reposed in his firm to undertake this important national task.